Last October I went on my first writing retreat. Going in, I didn’t know what to expect. I imagined a group of us with laptops, clicking away, occasionally taking breaks for meals or naps, but mostly writing. I set the lofty goal to hit twenty thousand words by the end of the four-day weekend. Prepped with some craft books, pens, my trusty laptop, some fuzzy socks and about fifty pages of a new WIP, I was all set for a productive weekend. When I arrived home on Sunday, I returned with some new reading material, a box of the world’s most insanely rich chocolate truffles, and four thousand new words in my WIP. You might look at that word count and think my retreat was a wash. So what was my quiver filled with by the end of the weekend? 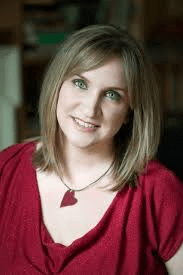 New friends – Writing is not exactly a social activity. I’ll admit all the time I spend alone made me slightly angst ridden about meeting new people. Turns out I wasn’t only meeting people – but kindred spirits. We talked about plotting, querying, books we loved and even had nightly readings. One morning there was a discussion about interesting ways to kill people with household cleaning products and what someone would think if they read a writer’s Google search history. Never a dull moment! New tricks – To loosen up our creativity we did some story mapping. You take a large sheet of paper, some colored pens and draw yourself a map of your story. It could be bits on characters or plot or just general thoughts about where you want to go with the story. I loved this exercise and still use it from time to time to help construct individual chapters. 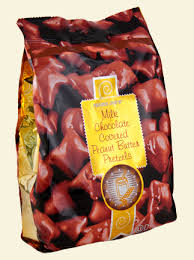 Comfort Food – I can’t believe I lived this long without knowing Trader Joe’s Chocolate Covered Peanut Butter Pretzels existed! Or something called Tortilla Espanola! I loved this dish so much, I wrote it into my WIP. Yes, really. Fresh Air – The retreat house was nestled in the mountains of North Carolina. Taking a leisurely stroll around the neighborhood pretty much meant taking a hike. All that heart pumping activity and oxygen enriched blood definitely cleared the cobwebs and reminded me that exercise is a good tool to get your creativity flowing! An Amazing Place – On our last full day we took a field trip into Asheville. If you haven’t been, then you need to change that, right away. I think creative energy is pumped into the streets. It’s palpable. And there’s Malaprops Bookstore! Oh, and that box of insanely rich chocolate truffles – yep, from Asheville. It’s a magical place. Words – While I didn’t manage my lofty twenty thousand, I did write four thousand words over the course of the weekend. Not only that, but I had a new direction and focus on my story. When I arrived home I couldn’t wait to attack it. Jro, Kip, Patty, Jen, Mary Ann, Juliana and Lauren – Wait, isn’t this like my first point on the list? Yes and no. See, I didn’t really know these wonderful women and writers before I went on the retreat. Now? I like to think there’s a gossamer web that ties us together – or Twitter, take your pick. Word of encouragement, a quick hello – I get to see them every day. This is the most prized possession in my quiver! I know there are probably retreats that focus on output, word wars, and rewards for meeting daily goals – I think that’s wonderful. I’d love to go on a retreat like that some day. But this retreat helped me fill a creative quiver I hadn’t even realized was empty. Debuting is an incredible adventure, but it can also be terrifying. Exuberant highs are sometimes met with crushing lows. The retreat gave me a moment to step out of the insanity of my pre-debut and help me remember why I love to write in the first place. Taking some much-needed time to re-energize and ‘fill the quiver’ was the best gift I could give myself and one I highly recommend to anyone in need of reboot. I hope to do it again soon! 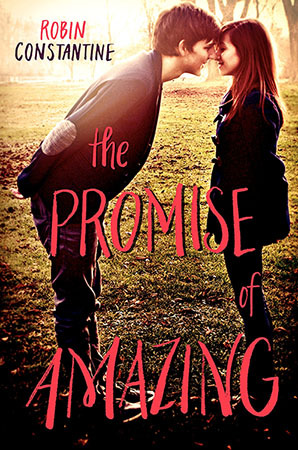 Enter to win an autographed copy of THE PROMISE OF AMAZING! I’ve never been to a writers’ retreat. It sounds amazing! Do you know if there are any in South Texas? Thank you for sharing your awesome experience. I want this so much, fingers crossed!!! Sounds like an amazing experience! Lovely inspiring post! Great post. 🙂 The retreat sounded fun! Lovely interview! I like the retreat the author speaks of. That sounds fun and relaxing. The writing retreat sounds like a lot of fun! I didn’t even know it even existed.